November 2018 - Patent my French! The names of the parties in the case commented upon today first reminded me of the classic movie Kramer vs. Kramer. But you could also think about the Doppelgänger. See, the case at hand is Novartis v. Novartis or, to be more precise, SAS Novartis Pharma v. Novartis Pharma AG. The judgment is very short and utterly uninteresting in itself, but as you will see the underlying context is much more noteworthy. Let’s start with the judgment per se first. Novartis Pharma AG is the owner of European patent No. EP 1096932 entitled “Combined use of valsartan and calcium channel blockers for therapeutic purposes“. Novartis Pharma AG is also the owner of French SPC No. 07C0042, which was granted in 2008. This SPC is based on the EP’932 patent and on a European Marketing authorization (MA) and is directed to a medicinal product comprising the two active substances valsartan and amlodipine. The corresponding commercial drug marketed by the Novartis group is Exforge®. 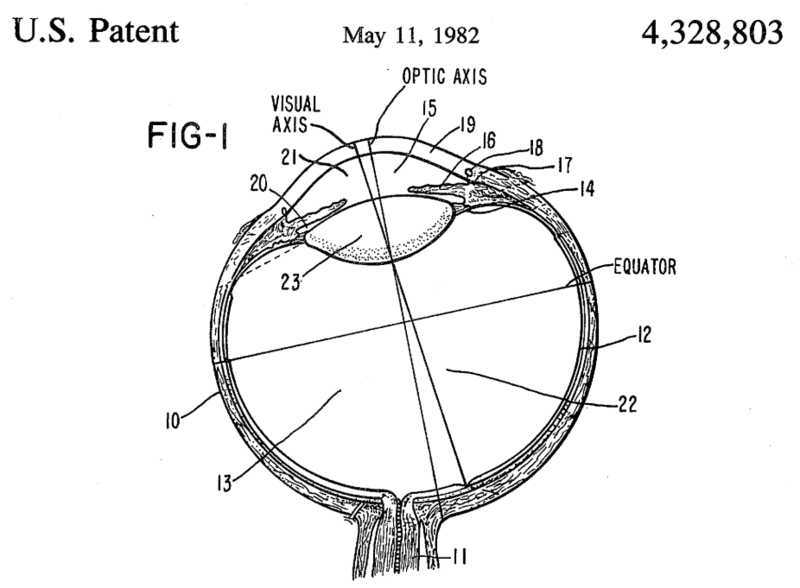 The EP’932 patent was opposed by 8 different opponents at the EPO. 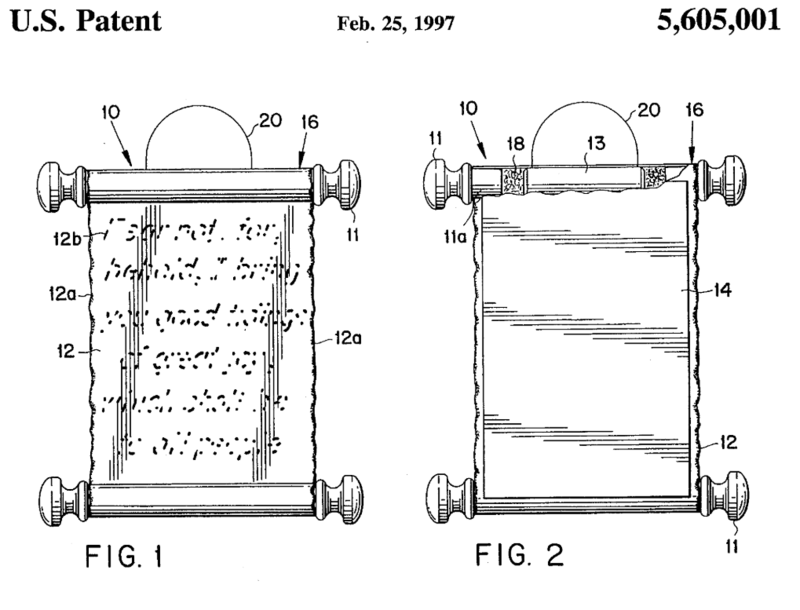 In first instance, the patent was maintained in amended form by the opposition division. On appeal, after the issuance of the summons to oral proceedings, Novartis Pharma AG withdrew all its requests and disapproved of the text of the patent, which led to the revocation of the patent on October 7, 2015. On January 29, 2018, another company from the Novartis group, namely SAS Novartis Pharma, filed a complaint with the Paris Tribunal de grande instance (TGI) and requested that the TGI should revoke SPC No. 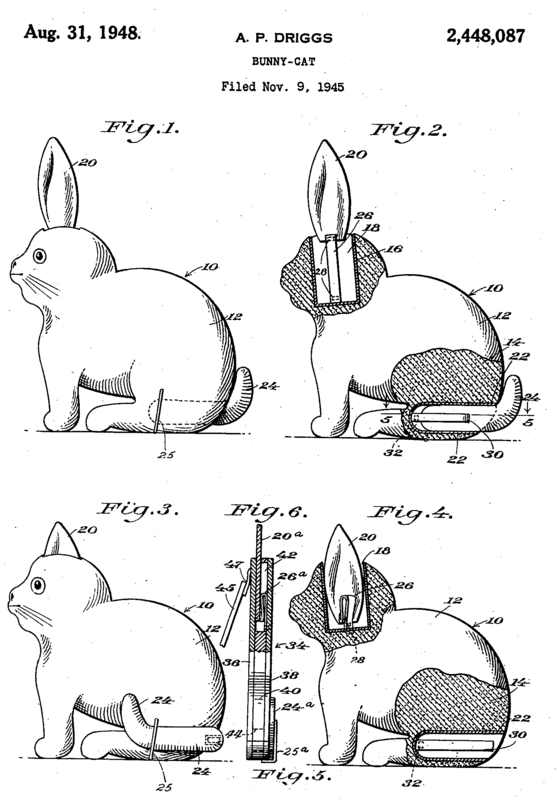 07C0042, as a consequence of the revocation of the basic patent. The “defendant” Novartis Pharma AG agreed, and the court thus pronounced the requested revocation of the SPC on April 5, 2018. Let me introduce the bunny and his feline Doppelgänger. Now, in case you are wondering, of course the various Novartis companies have not run amok. No, this unusual ruling seems to be the result of a very elaborate strategy, which can be (at least partly) comprehended based on publicly available information. The first thing you need to know is that two divisional applications were filed based on the EP’932 patent. The first one was deemed to be withdrawn, but the second one led to the grant of another patent, EP 2322174. On the face of it, the EP’174 patent contains claims which are somewhat similar to those of EP’932, and which still cover the combination of valsartan and amlodipine. The second important thing is that another French SPC application (No. 16C0008) was filed based on the divisional patent EP’174, still for the combination of valsartan and amlodipine, on March 7, 2016 (thus a few months after the grant of EP’174 on September 15, 2015 and after the revocation of the parent EP’932 patent on October 7, 2015). Based on publicly available information, the second SPC was initially granted in June 2016. But then, three months later, on September 26, 2016, the decision to grant the SPC was withdrawn by the INPI (French patent office). Indeed, the withdrawal or cancellation of any decision issued by the INPI is possible as a matter of principle within a four-month time limit. Examination of SPC application No. 16C0008 was immediately resumed, and an office action was issued, in which an objection was raised based on the existence of the prior SPC No. 07C0042. As a reminder, article 3(c) of the SPC regulation (aka Regulation (EC) No. 469/2009 of the European Parliamant and of the Council of May 6, 2009) provides that a certificate can only be granted if “the product has not already been the subject of a certificate“. As a first line of defense, Novartis replied that the revocation of the EP’932 patent also automatically entails the annihilation of the first SPC No. 07C0042, in a retroactive manner. Therefore, they argued, the valsartan + amlodipine product in the second SPC application No. 16C0008 had not already been the subject of a certificate. But the INPI was not convinced and maintained its objection. With that in mind, the strange Novartis v. Novartis action suddenly becomes much more understandable. Novartis’ purpose was to obtain an official ruling from a court of law per which the first SPC was revoked. This strengthened their argument with the INPI. And the strategy was successful, as the objection based on article 3(c) of the SPC regulation was overcome and the second SPC was finally granted (for the second time) in June 2018. Based on the arguments submitted by Novartis which can be read in the SPC file wrapper, second SPCs replacing the first round of SPCs were also obtained in a similar manner in a number of other European countries. At this stage, one question remained for me: why did Novartis find it useful to surrender its parent patent and all SPCs obtained based on it, and to start the entire procedure from scratch based on the divisional patent and a second set of SPC applications? Well, sometimes a blogger has to play detective. Comparing the two different SPC applications, it appears that both are based on the same MA having effect in France, namely European MA No. EU/1/6/371/001-24. But then one difference immediately becomes obvious in the next box of the application form. In the first SPC application, the first MA obtained in the Community or EEE is indicated as being this same MA No. EU/1/6/371/001-24, dated January 16, 2007. But in the second SPC application, the first MA obtained in the Community or EEE is indicated as being a slightly earlier Swiss MA No. 57771/01-03, dated December 22, 2006. Actually, since the AstraZeneca judgment of the CJEU (C-617/12), we have known that Swiss MAs count as potential first MAs in the Community or EEE, as they are automatically recognized in Liechtenstein. So the Doppelgänger mystery is solved – I think: the initial SPC application contained a mistake, in that the indication of the first MA obtained in the Community or EEE was not correct. Hence the need to get rid of the first patent and first SPC, in order to obtain a corrected SPC based on the second patent. I would be curious to know whether Novartis’ clever strategy succeeded in all European countries or whether it failed in some of them. More generally, I would be curious to know what readers make of all this. Should the revocation of a first SPC indeed make it possible to request a second SPC as if the first SPC had never been granted? This does raise policy issues. Imagine that the first SPC had been revoked further to a nullity suit filed by a true third party. Would it be fair to allow the SPC owner to obtain a second SPC essentially identical to the first one, based on a divisional patent? At any rate, this case will probably be a further incentive to file divisional applications for important inventions which could potentially be protected by an SPC. More than ever, divisional applications appear to be a very powerful (some would say, too powerful) tool in the hands of IP right holders. CASE REFERENCE: TGI de Paris, 3ème chambre, 1ère section, April 5, 2018, SAS Novartis Pharma v. Novartis Pharma AG, RG No. 18/02118. Posted on November 19, 2018 November 18, 2018 Categories French case law, Infringement, Inventive step, Preliminary injunction2 Comments on The “pays” of the PIs? No, this post has nothing to do with the famous 007 spy. It rather deals with the restriction of the accessibility of evidence filed during patent litigation to protect trade secrets. With such an exciting topic, who needs car chases, double agents and half-naked bodies? A while ago, I reported on the first instance judgment in the Core Wireless Licensing v. LG litigation. As a reminder, this is an SEP (standard essential patents) infringement action brought by Core Wireless (Core) against the Korean giant LG, which was handled super fast by the Paris Tribunal de grande instance, upon the claimant’s request for accelerated proceedings. Not that it worked out for them though, as there was no finding of infringement by the court for any of the five asserted patents. As swift as the first instance case was, I have not heard about any appeal proceedings since the judgment of April 17, 2015 – until very recently, that is. Now, owing to LG’s lawyers and via the AIPPI French group (thank you), here are tidings of Core’s appeal. It turns out that the appeal case has been moving at a much slower pace, with already three orders on procedural motions issued by the appeal judge in charge of case management. The third order, dated October 9, 2018, is of particular interest. First of all, the order of the judge mentions that “what is at stake in the litigation is now the determination of a FRAND royalty rate applicable to the patents in suit“. This is somewhat surprising, since the first instance judgment dismissed all infringement claims brought by Core. I can only assume that a partial agreement between the parties must have been reached, that LG must have agreed to take a license from Core and that the only remaining contentious issue must be the royalty rate. Now, a major difficulty in a FRAND royalty rate-setting lawsuit such as this one is how evidence relevant to the royalty rate determination should be handled. For instance, similar license agreements granted by the right holder, or even third party license agreements may be of relevance to the determination, but these are also highly sensitive documents. Eyeing towards the right royalty rate. The first point addressed in the October 9 order is a dispute regarding one exhibit filed by LG, namely a license agreement between Nokia and Qualcomm. Core’s patent portfolio was originally owned by Nokia. Nokia licensed the patents to the chip manufacturer Qualcomm. The LG devices comprise Qualcomm chipsets. As a result, LG contends that they benefit from pass-through rights under the Nokia / Qualcomm agreement (by exhaustion of the Nokia patent rights). A recurring debate in many SEP lawsuits. LG had made repeated official requests for being granted access to the Nokia / Qualcomm agreement, to no avail. But on October 31, 2017, LG finally filed a redacted version of this agreement in front of the Paris Cour d’appel, which they apparently originally obtained from parallel proceedings in the U.S. Core protested and stated that this filing was illegal. They argued in particular that, under article 21 of the agreement, Nokia’s consent is a prerequisite for filing the agreement in the French proceedings, and that Nokia did not consent. Core thus requested that the exhibit should be dismissed. An interesting problem, but also one that the appeal judge did not solve. Indeed, the judge noted that it is not within her prerogatives to dismiss an exhibit. This is a matter for the three-judge court to decide. So, Core’s request was rejected – for the time being at least. It will be decided in the judgment on the merits. As a second point addressed in the order, various requests for additional evidence were filed by both LG and Core. LG requested that Core be ordered to file a number of contracts: 1) a purchase and sale agreement between Intellectual Property Asset Trust and Core dated 2011, 2) a royalty participant agreement between Intellectual Property Asset Trust, Core, Nokia and Microsoft dated 2011, and 3) all further agreements between Core and any third party regarding the patents at stake, and in particular an agreement of 2015 between Core and Microsoft. The judge deemed that these agreements were indeed relevant to the determination of the FRAND royalty rate. Besides, Core did not frontally object to the submissions of these documents but requested that confidential information be protected (more on that below). On the other hand, Core requested that LG be ordered to file license agreements between LG and Nokia, Interdigital, Ericsson and Blu Products. LG objected, and the judge held that the LG agreements are in fact not relevant to the lawsuit because they do not relate to the patents in suit. Also, the judge did not like that this request by Core was submitted only a few days before the scheduled hearing on the parties’ motions. As a summary, Core was ordered to file a number of agreements in relation with the patent portfolio at stake, but LG was not ordered to filed its own license agreements regarding other patents. But the most interesting part of the order is probably that the judge made use of a brand new provision, introduced by law No. 2018-670 of July 30, 2018 into the French statute. This is the transposition of the so-called “trade secret directive” (aka Directive (EU) 2016/943 of the European Parliament and of the Council of 8 June 2016 on the protection of undisclosed know-how and business information (trade secrets) against their unlawful acquisition, use and disclosure). 4. Adapt the reasons of the decision and modalities of publication thereof to the necessities of protecting trade secrets. The judge thus decided that the documents at stake should be first communicated for LG’s attorneys’ eyes only. The attorneys of both parties should then tell the judge which parts of the documents may or may not infringe a trade secret, in their view. The judge will then, if necessary, issue another order to implement some of the measures under 2, 3 and 4 above. I think it is very positive that the range of options to preserve trade secrets during litigation has been broadened by the transposition of the trade secret directive. This will hopefully make it easier for judges to order relevant evidence to be communicated – knowing that guarantees can be put in place in order to prevent the misuse of such evidence, if it is highly confidential and sensitive. This is essential in the French system which does not provide for a broad discovery / disclosure procedure. Turning back to this Core v. LG case, I personally hope that the judge will not issue an order under paragraph 3 of article L. 153-1, and will make moderate use of paragraph 4. This is because the judiciary determination of the FRAND royalty rate in a case such as this one will be of major interest to all stakeholders in the industry, as it could provide some eagerly awaited general guidance. Cour d’appel de Paris, pôle 5 chambre 1, October 9, 2018, Core Wireless Licensing SARL v. LG Electronics France SAS & LG Electronics Inc., RG No. 15/17037.